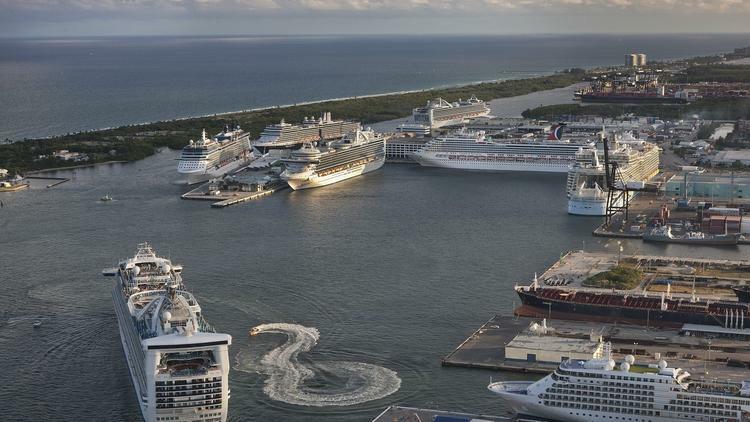 Port Everglades has regained its status as the world’s second­ busiest cruise port, based on preliminary multiday cruise passenger data. The Broward County seaport had a record 3.88 million multiday cruise passenger moves in in fiscal 2014, which ended Sept. 30, second only to PortMiami’s 4.8 million over the same period. A cruise passenger move is an industry term referring to embarkations and debarkations at the beginning and end of voyages as well as during visiting ships’ ports of call. A busy cruise day at Port Everglades in November 2012. The port recently unveiled an online version of its 2015 Cruise Guide publication as well as a new, user ­friendly cruise app for mobile devices such as iPhones and iPads.